This is going to be a bit of a rant as it is quite upsetting (for me haha). Over the last few years I've probably experienced every bad thing that could possibly happen, believe it or not. From allergic reactions (my head been swollen with loads of fluid) to my hair falling out. I think it were March last year when I had to have all my hair cut off :( It was down my back and platinum blonde previously. Silly little me had some extensions put it for my birthday and they ruined my hair, as my hair was too weak to carry them, but I didn't realise this until I took them out and had no hair left! I had to have it all cut off to my shoulders, well what was left off it and had to get rid of the blonde hair that i'd supported for years. That was me 'oh yeah her with the bright blonde hair', I remember crying over a pizza about it and my dad went out and bought me a hair dye, bless him. So I dyed it red and it was cut shorted than my shoulders. Then I went every colour under the sun from red to purple to blue to brown to black to ginger and now I'm my natural mucky blonde with highlights. My hair still doesn't feel great and I probably need another 2 inch cutting off it for all the bad to be completely rid of, but I hate having my hair cut! So what I want to do now is find the miracle solution to get help my hair grow and get thicker. Does anyone know of anything that's good? I know your diet is a main part of this, but there are things that can help it happen faster. I just don't know of many haha! So anyone that knows me will know how much I LOVE Aussie shampoo & how much I go on about the smell of it. If only they made a perfume or body lotion that smelt the exact same. I always enjoy reading what other people use on their hair, as I'm always open to try new things. This shampoo is made to give you that extra va va voom (volume) and is aimed at people with fine/limp hair. I put myself under that category when my hair is damaged and I do seem to have fine hair, but lots of it. I don't really buy this product for the effect on it though, its just the smell of this shampoo is amazing! I do notice that my hair is left feeling light and bouncy when I use this, more so if I blow dry it too. Now when I repurchased this recently after having a break from Aussie for a few months. 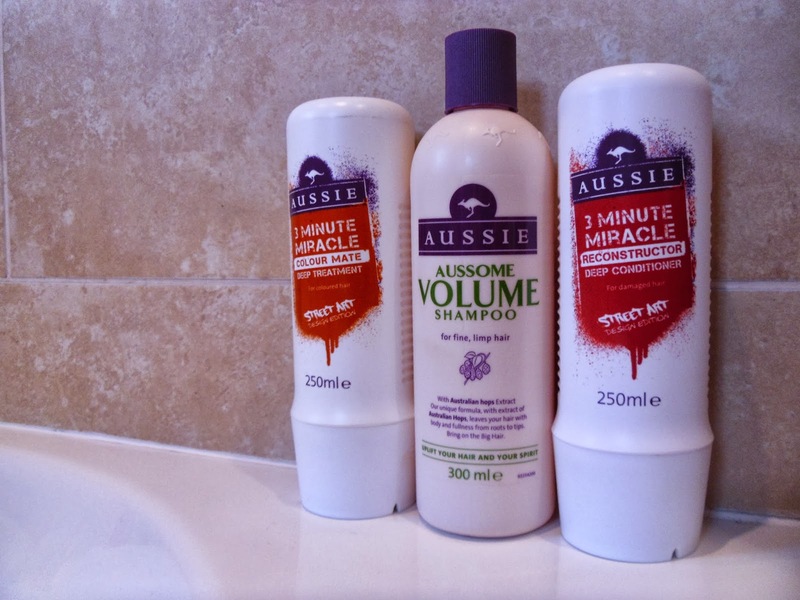 I were so happy to smell the scent of the product, as it is now the same as the 'Aussie - Aussome volume shampoo'. I had to have a little break from Aussie hair products, as just like my face with skincare, my hair gets use to the same products when I use them over and over, so I have to have a little change every now and then. Now you leave this conditioner on for 3 minutes for the full effect, which to be is brilliant for when I'm in a rush and haven't got time to sit and wait an hour for it to work. Obviously the smell of the product (sorry if I've mentioned this over and over, I can't rate it enough) haha. It doesn't weigh your hair down like a lot of deep conditioners tend to do. Leaves my hair feeling super soft, moisturised and shiny. My hair seems to be stronger when I use it. Now this one is aimed more at people with coloured hair, as I've got highlights I'll give any conditioner/deep treatment a go. It was my first time trying this one as I haven't noticed the 'colour mate deep treatment before' I usually pick the one above, but when it's on offer you can't not try something new. Now this one smells a little different to the others it's more of a peachy scent, which I don't mind as it's quite cute. I found that this conditioner made my hair feel nice and not as dry, but nothing spectacular. I prefer the other conditioner to this one. I got these 3 on offer at a Boots drugstore for 3 for £10, but if you have a look about you can drop on with good deals. I know my sister gets hers from B&M for cheap as chips too. Now that's the stuff I like to apply when I'm having a bath/shower. I also have two favourites that I like to apply after I've shampooed/conditioned my hair and that's these little gems below. This stuff is amazing! I don't apply this every time I wash my hair. I apply it before I'm going out or when I know I'm going to wear my hair down. It really does make your hair feel so much thicker. All you have to do is squeeze a little into your hand and rub through your hair from roots to the ends. It's so quick to apply and doesn't really have a strong scent to it, just a light one that smells like fruit salad chewits? If you have this already or you've got your eyes set on purchasing it, word of warning - don't apply to much other wise it will weigh your hair down and make it feel really heavy. I bought this from Superdrug when it was on offer ages ago and can't remember the price I paid. It is retailed at £5.99. You all probably know how good this little gem is, as it's raved about in the blogging world quite a lot and it get's a lot of good reviews. It's just a must have hair product! MY MUST HAVE HAIR PRODUCT. If you were to ask me to choose between a good conditioner or this.. I'd have to choose this. I apply about half the size of a 5p coin to my damp hair after towel drying my hair and rub it into the ends of my hair. It has a gorgeous coconut scent to the oil and makes your hair so soft & shiny. I got mine off of eBay for about £12/£13 and when I received it I though my god that's tiny for the price, but it's lasted me about 6 months and that's applying it every single time I wash my hair. I've still got just under half of it left as well, such a good investment. What's your holy grail hair treatment? I cut my waist-length hair into a long bob about 5 months ago and although I liked it initially, I'm a long-haired kinda girl at heart and am now on a mission to grow it back to waist-length, so although my hair isn't damaged, I do feel your pain!. ahh goodness, spur of the moment things can be a pain sometimes. I always love bob haircuts though, but i'd never get one done myself as I just don't suit short hair (wish I could at this minute in time) haha. thank you though lovey, i'll definitely be purchasing some coconut oil as I haven't tried that yet. I use Tresemme but your hair is amazing so maybe these products are really working!Nice post! Love this post! I've just finished all those Aussie products, they smell so delish. 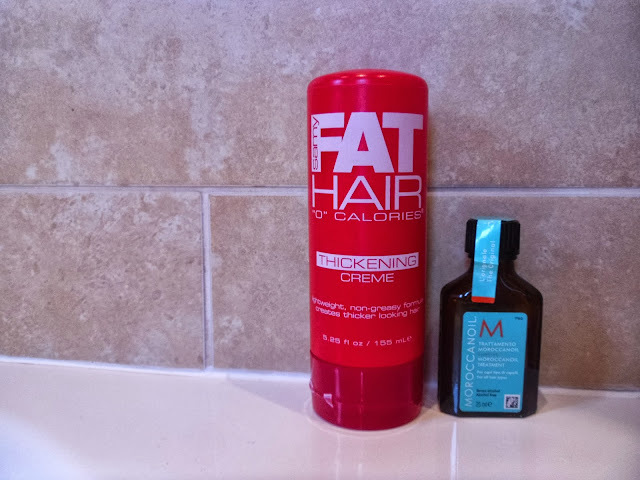 I have used the Fat Hair Mousse but not the creme... definitely picking this up! Ahh I haven't tried there mousse before is it any good? Ah babe that sounded like a nightmare, but if it's any consolation your hair look gorgeous now! I have used & swear by Aussie for absolute years now, I love the stuff there 3 min miracle is THE best. it were awful :( ahh thank you! It will get there eventually I hope.